The Arbitrager is located within the Grade II* listed Draper’s Hall on Throgmorton Street in the heart of the City of London. 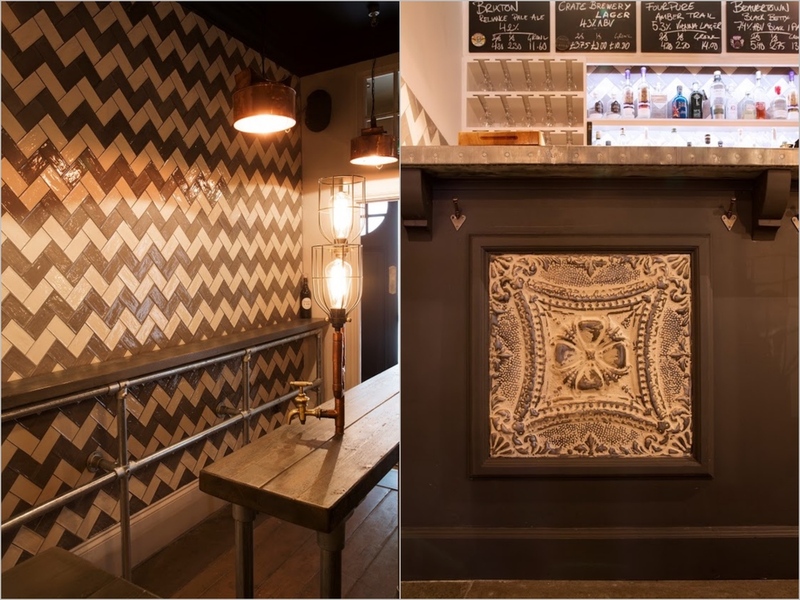 When the client took on the site the interior was completely dilapidated, so the project presented an exciting opportunity to restore this iconic drinking establishment to its former glory. The brief was to create a brand with a modern individuality that evokes a traditional pub vibe. 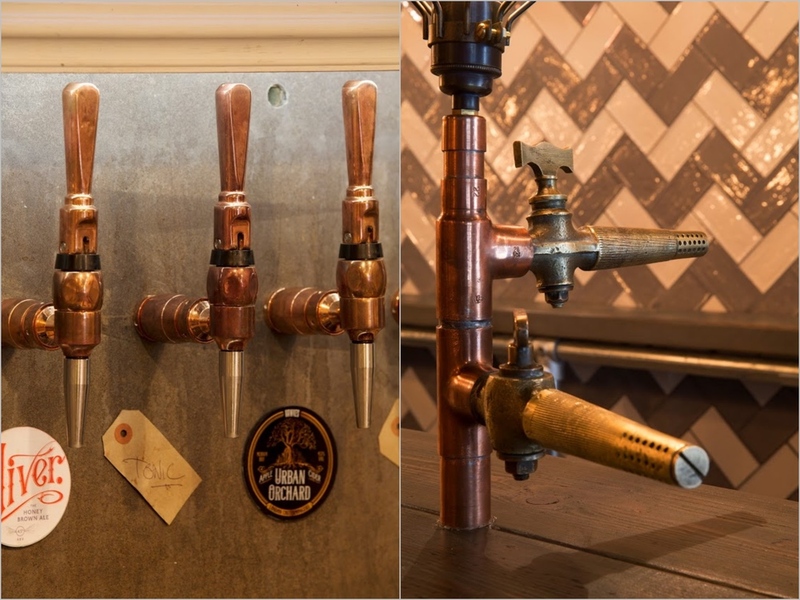 The new design features bespoke pendants, wall and table lighting by Jessica Found It, made from unusual materials including clocks, copper piping and brewery funnels. Uniquely The Arbitrager only serves London brewed beers and London-distilled spirits - this is illustrated by a large sepia coloured map which highlights the many London breweries currently on tap and covers one entire wall of the space. The Arbitrager is located within the Grade II* listed Draper’s Hall on Throgmorton Street in the heart of the City of London. When the client took on the site the interior was thoroughly dilapidated, so the project presented a exciting opportunity to restore this iconic drinking establishment to its former glory. The Arbitrager only serves London brewed beers and London-distilled spirits. The menu is focuses on craft beer and gin, but with a selection of vodkas, vermouths and aperitifs too. A large sepia coloured map highlights the many London breweries currently on tap and covers one entire wall of the space.